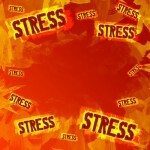 Stress is a problem for individuals in many organizations and businesses across our parts of New Jersey. No matter the day of the week, there is always a lot to do and the push is always on to do more. Many managers and employees often never get the chance to catch up and be ahead of the game. Trying to catch up is often the usual course. Long days follow into long weeks. And work stress is not a positive feeling. Of course everyone can get a little tired and irritable during the work day. The economy is still sluggish and people with good jobs appreciate those good jobs. But stress does matter to every one of us. There is a multitude of personal and professional choices each person can make throughout the day. Managing and understanding stress should be one of those. Being prepared: It is important to plan and schedule each day. When the unexpected takes place, address the situation and then get back on task. Take an occasional break: Take a quick minute and get up and move around. Even just a minute away from the desk or phone will give most people renewed energy. Focus on productivity: When the day is full, think of the short-term goals and accomplishments. And place a value on contributions; valuing oneself can often minimize stress. “Unsmart” your phone and devices: No one has to be hooked up to a device all the time. No one has to address every e-mail, text, tweet or post in real time. Answer e-mails in the morning and after lunch so the main focus can remain on goals and daily objectives. Good night: Everyone needs their sleep. Rest is critical to success. Use the commute: The time spent to and from can be less stressful with your favorite book or music in the background. Use the commute as a time for positive reinforcement. Being determined to understand and manage stress just makes sense as we head into 2014.